Health insurance is mandatory in Belgium, and basic cover is generally provided by the national social security system. Contributions are paid by both employers and employees, and most forms of public assistance (unemployment benefit, old age pensions, certain forms of sickness and maternity benefits) are paid net of withholdings for health insurance, the benefit authority effectively paying the employer contributions. All employees and self-employed people in Belgium must contribute to a health insurance fund ( mutualité/ziekenfonds) as part of the normal social security enrolment process. Some funds are restricted to members of various religious, political or professional organisations for historic reasons, but most are open to all. Your employer should be able to provide you with information about available funds, and you should ask neighbours or colleagues for recommendations. All funds charge the same basic contribution and pay similar benefits, but some take longer than others to make reimbursements. Health insurance contributions are made by your employer directly to your chosen fund. These amount to 7.35 per cent of your gross salary, of which 3.55 per cent is withheld from your pay and the remaining 3.8 per cent contributed by your employer. If you’re self-employed, you contribute the full 7.35 per cent through your quarterly social security payments. Cover is automatically provided for dependent family members, including spouses (if they don’t have their own cover) and children up to the age of 18. When you enrol in a Belgian health fund, there’s a six-month waiting period before you can claim benefits. This waiting period can be waived if you were previously included for at least six months in another person’s health cover (i.e. as a dependant) or, in many cases, if you were covered by a state health care plan (or the equivalent) in another EU country for at least six months before your arrival in Belgium. For most medical services, you must pay the bill and then submit the receipt for reimbursement. Reimbursements are usually less than the charges incurred, and most Belgians take out supplementary health insurance to cover the unreimbursed portion or to upgrade their cover from the statutory level. Many employers provide supplementary health insurance cover as an employment benefit, or you can purchase individual cover. Supplementary health insurance is also available to self-employed people through professional associations and private insurers. In typical Belgian fashion, the exact nature of what is and isn’t covered by the state system is rather complicated. 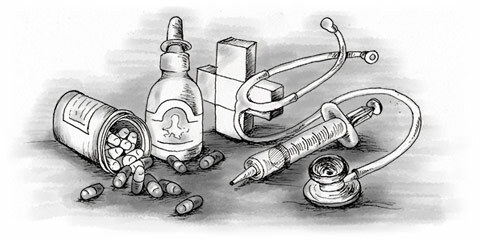 Services rendered by most doctors and specialists, hospitalisation, prescriptions, pregnancy and childbirth, rehabilitation and other forms of therapy are normally covered, although the self-employed are covered only for ‘major risks’, which include mental illness, tuberculosis, cancer, hereditary diseases and birth defects, most types of surgery and childbirth. There are no fewer than 18 categories of medical procedure and service, each with its own reimbursement level, varying from 0 to 100 per cent (although the number of items qualifying for 100 per cent reimbursement is constantly diminishing because of funding problems). There are also certain ‘preferred’ categories of people who are entitled to a higher level of reimbursement for many items, including widows, orphans and those receiving certain forms of public aid (e.g. the blind). A standard doctor’s appointment, for example, is normally reimbursed at 75 per cent, whereas those in a preferred category may be reimbursed at 85 or 90 per cent, depending on their circumstances. It’s wise to keep copies of all receipts and any other documents you send to your health insurance fund in case anything is lost. Rather than sending each receipt separately, it’s often better to collect all receipts for a given illness or accident or all receipts during a three or six-month period before submitting them for reimbursement. If you have supplementary insurance, your health fund usually forwards information to your private insurer, and both insurers normally pay reimbursements directly into your bank account. If you’re hospitalised, you must usually pay a fixed daily accommodation fee, either in advance or when you’re discharged, but the hospital normally sends all other bills directly to your health insurance fund. In the case of prescriptions, if you take most of them to the same chemist, it’s usually possible to register with him so that he bills your health insurance fund directly. In this way you pay only the unreimbursed portion of the prescription fees, as well as saving yourself the headache of keeping track of your payments. Prescriptions are subject to a particularly complex scale of reimbursement percentages, according to the ‘social and medical usefulness’ of each medicine and whether it’s available ‘off the shelf’ or must be made up by a chemist. Certain types of medicines have maximum patient contribution levels, where 100 per cent of charges are reimbursed after a certain period. This article is an extract from Living and Working in in Holland, Belgium & Luxembourg from Survival Books.